Three devious divas of horror — Lisa Morton, Laura Benedict, and Carolyn Haines (aka R.B. 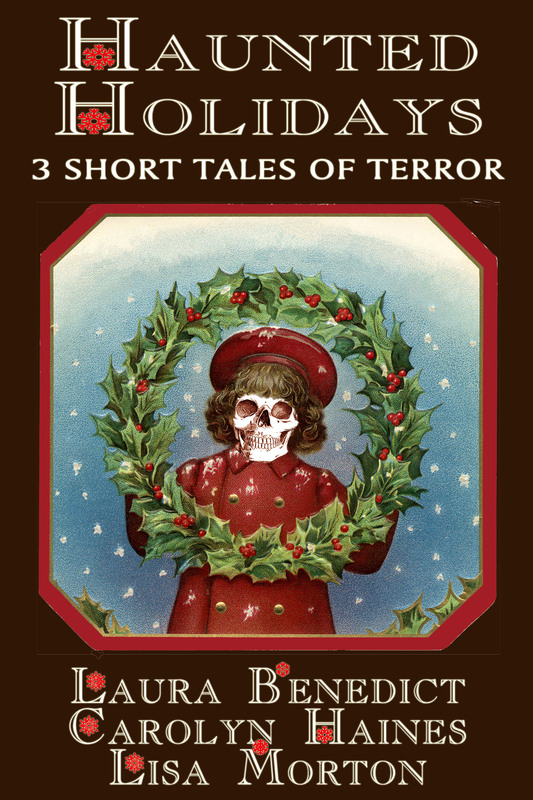 Chesterton)—liven up your holiday fireside reading with three tales of Christmas fear. The Christmas Ornament by Carolyn Haines (aka R.B. Chesterton) — Six graduate students should know better than to party at an isolated summer home in the woods for Christmas. When their host warns them not to even peek at a cursed heirloom Christmas ornament, they don’t listen, and the consequences are grisly. The Christmas Gnome by Laura Benedict — Venus Hansen’s mother-in-law is notorious for giving bizarre gifts, but the shabby wooden Christmas gnome is the first one that may actually be evil. It taunts Venus with vicious secrets, threatening the happiness of her husband and children. And perhaps even their lives. The Christmas Spirit by Lisa Morton — Elise and Ray escape London for the quaint Yorkshire cottage Elise has just inherited from her aunt. Ray gives Elise a mysterious book, which she reads aloud to him, but the haunting story comes alive—too alive—and their escape turns into a deadly trap. Stick around after the end of the stories, if you dare. Lisa, Laura, and Carolyn have all included thrilling samples from their other, current books as a special holiday treat.